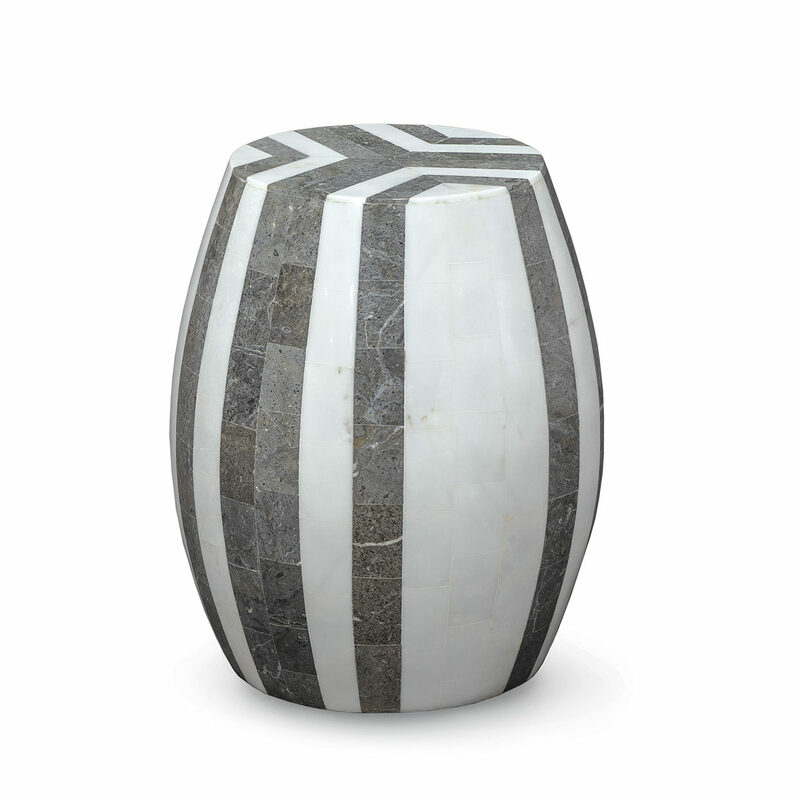 Natural grey and white stone inlaid over fiberglass frame. Stones are natural and may vary in color and grain. Suitable for Outdoor use.